California Internet, L.P. DBA GeoLinks (“GeoLinks” or the “Company”) submits these reply comments in response to the Commission’s Sixth Further Notice of Proposed Rulemaking in the above-captioned proceeding. GeoLinks largely supports the comments filed by the Wireless Internet Service Providers Association (“WISPA”) and Federated Wireless. As an initial matter, and as both WISPA and Federated Wireless point out, the 4.9 GHz band is highly underutilized. To meet the Commission’s stated goal “to ensure that public safety continues to have priority in the band while opening up the band to additional users that will facilitate increased usage,” both parties propose sharing techniques that would allow commercial users to utilize the band while protecting public safety users from harmful interference. GeoLinks believes that this approach is appropriate for the 4.9 GHz band and will help the Commission reach its stated goals. 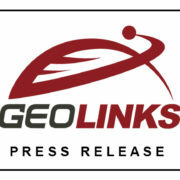 GeoLinks asserts that the band can be utilized for commercial users while also ensuring protection for public safety users. By utilizing an automated spectrum management database system, such as those proposed by WISPA and Federated Wireless, the band could support “dynamic secondary use of the 4.9 GHz band while ensuring that primary public safety users maintain priority access and are able to operate across the band without interference from secondary users.” As Federated Wireless explains, dynamic shared spectrum is already well understood and is becoming more readily recognized for its capabilities to effectuate enhanced spectrum usage and protect users from harmful interference. In addition, GeoLinks believes that opening up the 4.9 GHz band to commercial users will encourage investment in the band by all users, not diminish it as UTC/EEI/NRECA/Gridwise suggests. Specifically, allowing commercial users (i.e. those with commercial capital) to utilize the band will promote technological improvement by driving up demand for compatible equipment, which, in turn, will drive down price. Moreover, as both WISPer and Federated Wireless point out, the 4.9 GHz band is in “spectral proximity” to the 5 GHz and 3.5 GHz bands. GeoLinks believes that use of the 4.9 GHz band by commercial entities will encourage equipment manufacturers to create equipment that is also compatible for these other bands, increasing equipment efficiency and encouraging additional investment in the band. 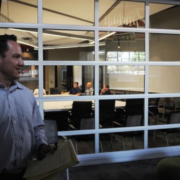 This will benefit not only commercial users but primary, public safety users, as well. 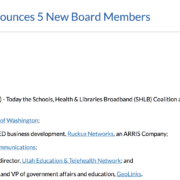 Based on the foregoing, GeoLinks urges the Commission to allow for commercial use of the 4.9 GHz band on a secondary basis through dynamic spectrum sharing. Amendment of Part 90 of the Commission’s Rules, Sixth Further Notice of Proposed Rulemaking, WP Docket No. 07-100, FCC 18-33 (rel. March 23, 2018) (“FNPRM”). See Comments of the Wireless Internet Service Providers Association, WP Docket No. 07-100 (filed July 6, 2018) (“WISPA Comments”) at 2 and Comments of Federated Wireless, Inc., WP Docket No. 07-100 (filed July 6, 2018) (“Federated Wireless Comments”) at 3.  While GeoLinks proposed that sharing within the band be conducted on a licensed or light-licensed approach, the Company is not opposed to implementation of a dynamic spectrum sharing approach. 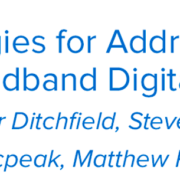 That said, GeoLinks urges the Commission to continue to consider licensed or light-licensed approaches for other bands that are well-suited for fixed wireless broadband use. Comments of Region 21 700 MHz Planning Committee, WP Docket No. 07-100 (filed July 6, 2018) at 3. 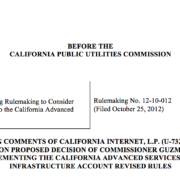 Comments of the Utilities Technology Council, the Edison Electric Institute, the National Rural Electric Cooperative Association and the Gridwise Alliance, WP Docket No. 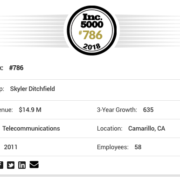 07-100 (filed July 6, 2018) at 3. See Federated Wireless Comments at 6. See WISPA at Comments at 6 and Federated Wireless Comments at 17.